Patna Sep 14 (IANS) Bihar s seasoned politician and Lok Sabha member Pappu Yadav says that jailed veteran politician Lalu Prasad has become irrelevant in politics and his main backer the powerful Yadav youth are desperately looking for a new face outside the Lalu family to lead them. "The era of Lalu s monopoly in Bihar mainly on Yadavs and Muslims is virtually over. Yadav youth have no sympathy and affiliation with him now. The entire Lalu family exploited the Yadavs and Muslims in Bihar for decades " claimed the 50-year-old Pappu Yadav the founder of Jan Adhikar Party in an interview to IANS. 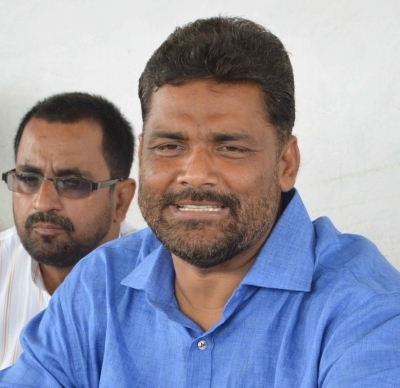 Pappu Yadav is in active politics for about three decades and he was first elected to the Lok Sabha in 1991. He defeated senior leader Sharad Yadav in the 2014 parliamentary polls in Madhepura to become a Lok Sabha member for the fifth time. Pappu Yadav s wife Ranjeet Ranjan is a Lok Sabha member from the Congress from Bihar s Supaul seat. As per 2011 census Yadavs make up 14 per cent of Bihar s population while Muslims constitute 16.9 percent. Yadavs and Muslims have always been the core vote bank for Lalu Prasad. "The older generation among Yadav and Muslim have some sympathy for Lalu because he is in ailing after being convicted in the fodder scam but I can tell you the Yadav youth dislike him and are looking for a fresh face who can economically empower them " said Pappu Yadav. "Every sensible brain in Bihar particularly among Yadavs and Muslims know that Lalu kept them economically poor deliberately in a bid to use them as vote bank for years. They had no option but to back up Lalu family but now youths are determined to get rid of Lalu family to overcome backwardness." "For roughly three decades Lalu tactically didn t allow leaders from Yadav community to grow to a level where his leadership can be challenged. Thus the entire Yadav caste was further pushed to backwardness and so the case was with minorities in Bihar. Muslims were left with no option but to vote only for Lalu. But now youths are looking for a better option outside Lalu family " Pappu Yadav contended. Pappu Yadav slammed the Nitish Kumar-led NDA government and said development of Bihar had been stalled youth migration to other states in search of jobs had risen the law order situation has worsened and sexual assault on women and girl child has increased to all time high now.